I don’t think Germany is that well known for good pop music. The last German thing I can think of that I LOVED was Sarah Connor ‘Let’s Go Back To Bed Boy’ which is from FOREVER ago. Claire are a five piece from Munich. Four boys and a girl, Josie Claire Burkle, on vocals – so it’s pretty obvious that I’m already going to love it. Here in the UK they’re signed to Capitol Records which is part of Universal and the bouncy ‘Games’ is their first UK single. They’ve been on tour with Chvrches and Bastille in 2013 in Europe, but their first UK dates are next week – Tues @ Madame JoJo’s and Wed @ Hoxton BK at Golddust. 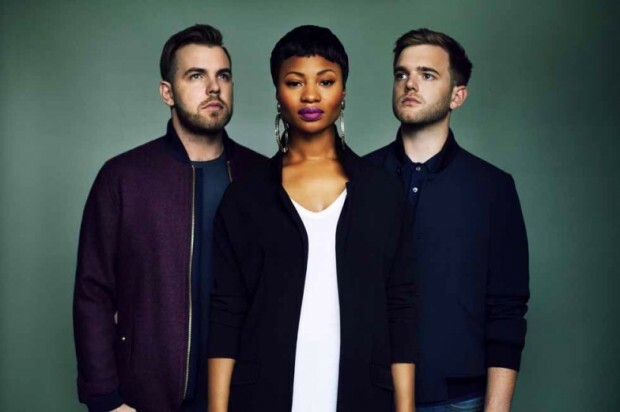 All About She are the latest act to be signed to Tinie Tempah’s Atlantic Records imprint ‘Disturbing London’. I wouldn’t expect them to be a dance outfit from the name, for some reason it sounds emo-y! Sorry, backtrack to ‘dance outfit’, what an old fashioned phrase. They describe themselves as a unique production trio so let’s run with that instead. Anyway semantics aside, All About She are Jon Clare, James Tadgell and Vanya Taylor. Between them they’ve previously written & sung on tracks for Tinie Tempah, Devlin and Scorcher and released a track featuring VV Brown earlier in the year. Now they’re working on their debut EP , but I think ‘Higher’ is their first single proper and is nicely timed to land in our brains for Sound of 2014. Perfect radio material, it’s a sweet singalong slice of euphoric garage that will keep summer vibes going just that little bit longer. If you’re a fan of low-charting r&b, you’ll recognise Le Youth (aka LA producer Wes James) ‘Cool’ as a cover of Cassie’s Me + You. It’s a low swung, chilled Balearic vibe that fits in nicely next to Chris Malinchak and Perseus. Remember this version of Ashanti’s Foolish from last year? Peter, Bjorn and John can rest! There’s a new Scandavanian whistling anthem on the horizon designed to delight and then after extreme overplay intensely annoy. NONONO are Stina Wäppling, Tobias “Astma” Jimson and Michel Rocwell. Stina works as a psychiatric nurse and had spent the previous two years songwriting with a bunch of different producers all encouraged to make a US radio hit. Then she met Jimson and Rocwell and over time they found their sound and formed NONONO. Signed to Warner Music in the UK, their debut single and absolute radio hit Pumpin Blood will be released in September. Fresh on Super Recordings (who were first to bring us Alunageorge), is Fabienne. 21 years old, she’s from Bradford and a recent graduate of LIPA. There’s lots of hip hop beat and drums going on here, coupled with a sweet vocal and a killer hook. Out now, I like it.